As a member of the litigation and transactional departments, Jeffrey M. Reisner represents private equity, hedge funds, privately held and public companies and high-net-worth individuals in connection with complex commercial litigation, mergers and acquisitions, financings and general corporate governance, as well as the reorganization of their (or their portfolio companies') financial affairs. He serves as a trusted advisor to boards of directors and individual directors in complex circumstances. Jeff is also head of the interdisciplinary Bankruptcy, Reorganization and Creditors' Rights practice group. In addition, he frequently leads corporate investigations covering topics as diverse as alleged sexual misconduct and corporate and financial malfeasance. Jeff also represents high-level executives in connection with separation, employment and related matters. Jeff brings to bear experience across a wide range of transactions and industries, including defense contractors, automotive and trucking, restaurants and hospitality, convalescent and healthcare, energy, technology, building supply, sporting goods, textiles, lending, distribution, satellites, manufacturing, mortgages, payroll, aerospace, medical testing and devices, entertainment, communications technology, sporting goods and real estate. His background also facilitates counseling clients acquiring or disposing of assets from healthy and troubled companies in both traditional sales and auctions. Jeff is also an experienced litigator, having represented clients in both state and federal courts throughout the country. 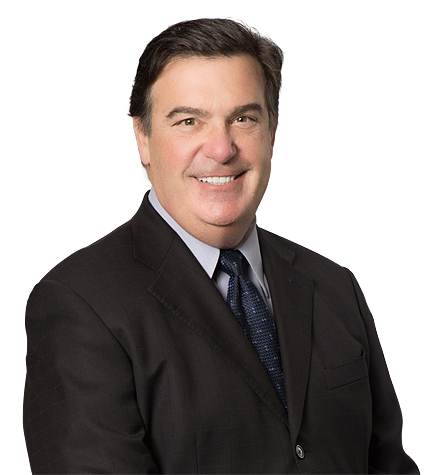 He has litigated complex commercial matters involving claims of lender liability, avoidance action claims, breach of fiduciary duty, licensing, and intellectual property issues, and has addressed issues involving contract, corporate, real property, tax, labor, and numerous other areas of the law. Jeff’s professional experience is not limited to the practice of law. He founded and managed two successful businesses and served as a turnaround manager of another prior to joining Irell & Manella LLP. Represented limited liability company and trusts in defense of third party creditor’s suit and related arbitrations. Case settled favorably and confidentially on the eve of trial. Represented GenOn with respect to $2 billion in claims against its subsidiary. Represented MUFG Union Bank, N.A., in connection with the sale of its loans to The Weinstein Company. Represented home automation technology leader SmartLabs Inc. in connection with a new majority equity investment and recapitalization. Represented Britt Private Capital LLC and Jupiter Investors LLC in their acquisition of Mountain Mike’s Pizza, a leading franchisor of pizza restaurants based in Oakland with over 180 operating units primarily in Northern and Central California. Represented SJB Brands LLC in connection with its acquisition of the “Juice It Up” franchise system, which consists of over 85 franchised and licensed units operated by third-party franchisees. Represented Bahamas-based private investment organization Tavistock Group and its equity holders in the sale of Simply Self Storage to Brookfield Asset Management, a public company specializing in real estate-related investments. Represented of Carmel Land & Cattle Co. in defense of claims alleging breach of fiduciary duty, fraudulent transfer and others. The plaintiff sought damages in excess of $500 million. After nearly four years of litigation, the matter settled on favorable terms. Represented RealD, a global licensor of 3D technologies to movie theaters and consumer electronics manufacturers, in connection with the acquisition of certain intellectual property assets from Digital Domain Media Group Inc. Represented a private equity firm in the sale of an almost $1 billion self-storage company. Represented a private equity consortium in connection with the acquisition of a restaurant chain/franchisor. Represented Geveran Investments Limited in connection with a securities fraud case in Florida. After establishing that the defendants made material misrepresentations and omissions in violation of Florida’s blue sky securities fraud statute, the court agreed and granted summary judgment in favor of Geveran. Geveran also fended off two summary judgment motions brought by defendants, who include J.P. Morgan Securities and a large private equity firm. Represented a global investment banking firm in connection with a second lien loan to a motor vehicle parts and accessories manufacturer. Represented the trustee in litigation and claim matters involving the failure of the parent company of Southern Pacific Bank, resulting in numerous significant trial and appellate victories on issues involving fiduciary duty and fraudulent transfer relative to the FDIC. Represented senior lenders in claims against junior lenders arising under an intercreditor agreement in connection with loans made to a Chapter 11 debtor, Momentive Performance Materials. Represented private investment organization Tavistock Group in connection with loan transactions and land acquisitions. Represented Aramid Entertainment Fund Ltd. in claims against Relativity Media, which resulted in a settlement. Represented a private equity fund in connection with the acquisition of senior secured notes of a troubled company with international operations. Listed in numerous "Who's Who" publications.